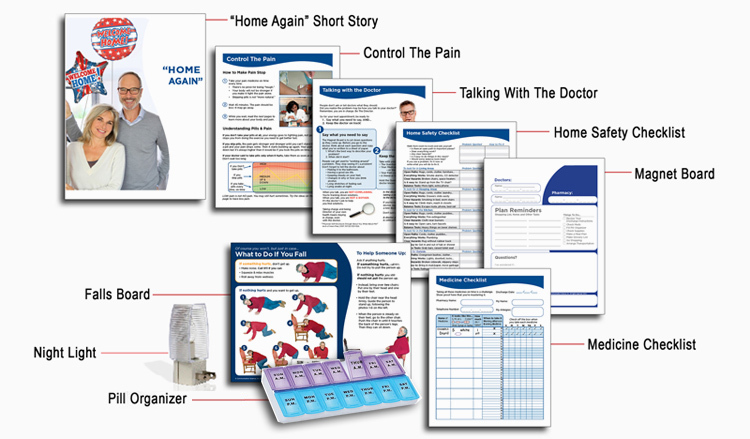 The Home Again Care Kit provides post-discharge self-care information for a successful transition from the hospital. It works for a wide range of post-acute conditions. Case managers and home care providers helped shape this kit to focus on core issues: pain management, medication compliance, physician communications, falls prevention and home safety. Patients immediately have what they need for the first steps of self care.